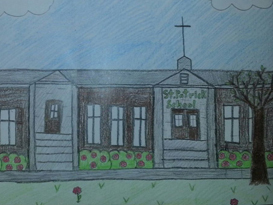 This group is dedicated to the well-being and education of the students at St. Patrick School. This organization raises money to help defray the costs associated with providing an enriched educational experience. Money is used for books, field trips, presentations, technology and other items for the educational program. This organization was formed by the officers of the PTO, members of the Ad Hoc School Board and parents each representing one grade level. Meetings are held on the second Monday of each month at 7 PM in St. Brigid room. Meetings are open to the general public.St. Patrick Parent Board has several working committees each headed by a current board member. All parents are encouraged to sign up for a committee which showcases their talents. The Athletic Association also consists of concerned parents who strive to make a difference for St. Patrick School athletes. This group works together with the Parent Board providing athletic programs for the children and also helping with fundraisers that supplement the curriculum. The Athletic Organization officers coordinate student practices, basketball schedules, volleyball schedules, cheerleading events, and any other sports the students are interested in for a given school year. They keep abreast of current regulations and guidelines for coaches in compliance with the Altoona Parochial League (APL). This organization enlists coaches and assistants to facilitate appropriate sporting instructions, notify volunteers about coaches’ clinics, and coordinate St. Patrick School athletics with the Altoona-Johnstown Diocese.